What’s Your EMS End Game? This episode of the show asks “Whats your EMS end game?”. It doesn’t have to be in EMS and if you are just starting out in EMS it is something you should be thinking about. Take a listen and maybe you will start thinking what yours is if you have not already. Be sure to subscribe to the podcast via iTunes and leave me a quick rating and review. It takes two minutes right here. Did you start out in EMS with a five year plan? Now it’s 15 years later and you are still on the ambulance with no end in sight. Looks like you have become an Accidental EMS Lifer. But all is not lost and you are not alone. In fact it isn’t all that bad. Take a listen to this weeks podcast and hear my take on being a lifer by accident in EMS. I was joined by Mike Pertz this week on the show and we discussed a variety of topics. One of them being why EMS providers resist increasing their knowledge base unless it is exam time or mandated by their job or certification. 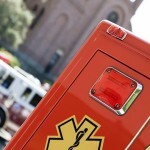 Mike is a contributor to FireRescue1.com and he has a great tool for EMS providers to help with pediatric patients called SmartSquad and you can get more information on that tool here. He gave some unique insight into this topic I am sure you will enjoy. He is also the owner of FireFighterNow.com which helps those who want to become firefighters pass those exams. This was a great episode so be sure to lean forward and listen below. Being able to anticipate things in EMS can be helpful. When you think about it, you can actually try and anticipate many things in your EMS day. By doing this you will find yourself better prepared what you find even if you didn’t actually anticipate it. Take a listen to this weeks episode to see what I mean below. Be sure to share, tweet and like this on your favorite social media platform. You have heard the saying “Knowledge is Power”. In EMS you have to be able to apply that knowledge and know when and how. Especially within the pre hospital environment. Anyone can memorize big words and sound smart around the water cooler. But that won’t change what you can do as a paramedic or EMT. Be good in EMS so you can be great for your patients. Listen to this weeks podcast to see what I mean and how your knowledge focus may need to change. Is Your EMS Boss Complaining About You? We all complain from time to time on the job. The patients, the calls, the nurses, our agencies and management all find a place on the “gripe vine”. But when you find yourself always complaining and bringing down the moral of your peers. You can pretty much be assured that you are being complained about too. Take a listen to this weeks podcast below and see exactly what I am talking about. Click the Apple button above and leave me a quick rating and or review right now. Thanks. Sometimes it feels like you are going against the current. Even your patients resist when you are trying to advocate for them. Its frustrating but its important to always come full circle and to keep going and doing the right thing. Take a listen below to see what I mean on this weeks podcast.